Amazon Kindle Fire is disappointing | Android Blast! I got my Amazon Kindle Fire yesterday and was prepared to write a detailed review, but then I stumbled on another review that just nails it. More on that later. In a nutshell, I think Amazon missed it with the Fire. The Kindle Fire has a nice price at $199, but you definitely get what you pay for. I was so used to Amazon shipping fantastic ereaders, and it always felt like they had thought of everything. 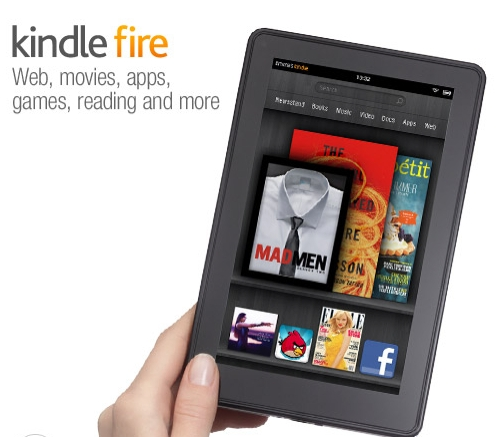 With the Kindle Fire I was really disappointed. It feels like they simply rushed to get a tablet out for the holidays. The Kindle Fire is heavy and clunky, and the OS feels like it is still in beta. Again, it only costs $199 but you just have to use it for awhile to know what I'm talking about. There are no volume hardware buttons. The power button is placed in a spot that my fingers keep hitting, and the button is so sensitive that I keep turning the Kindle off. The Fire is fast, but the lack of expandable memory leaves me wanting. I'd like to have at least 32GB for offline videos. I've also noticed the display doesn't always recognize my taps. I've had many mis-taps which makes for a frustrating experience. One of the most disappointing aspects of the Kindle Fire for me is that it gets hot. If you use it for awhile you'll notice the bottom portion of the Fire gets hot. Is the heat a big deal? Maybe, maybe not, but it is such a different experience from all other Kindles, and the iPad. Very disappointing. To my surprise I also really like the size. I wish it was slimmer and lighter, but the 7 inch size is very nice. It's the perfect size for thumb typing, and Amazon has a nice keyboard built in. Another good thing about the Kindle Fire is the integration with Amazon's cloud services. The music in my Amazon Cloud Player came right up, and you can view a lot of video from Amazon's massive library. The next version of the Kindle Fire has the potential to really take a bite out of the tablet market, but right now I'm disappointed. Now back to that review I mentioned before. I stumbled on it accidentally, but was almost in complete agreement with the author's views. Check the Full Story link below for more thoughts on the Kindle Fire.